Mary K. West is a litigation paralegal with 28 years of experience. 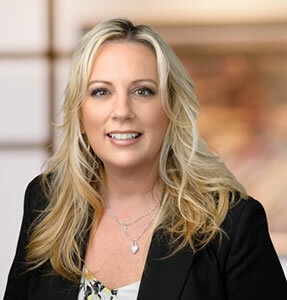 She is a Pennsylvania-certified paralegal, as sanctioned by the Keystone Alliance of Paralegal Associations, and a member of the Montgomery County Paralegal Association and National Federation of Paralegal Associations. Mary graduated from Manor Junior College with an Associate’s degree in Science (with a legal major) in May 1989. Mary joined HRMM&L in December 2005, and focuses primarily on personal injury cases. She helps clients navigate the legal, medical, and financial challenges that accompany devastating injuries. She is involved in cases from start to finish, and assists with record retrieval and digesting, drafting and responding to discovery requests, and preparing for depositions and trials. Mary enjoys spending her spare time with her husband and catering to her very active two sons, who are involved in basketball and baseball year-round. She also is president of the William Tennent High School Boys Basketball Boosters.